Sree Meenakshi Temple at Madurai is probably the most beautiful and widely recognized temple in the whole of South India. The main deity is Goddess Meenaskshi and it is a ritual that anyone who wants to visit, must go through the entrance situated at the eastern side facing the deity. The history here is tethered intricately with facts and myths. 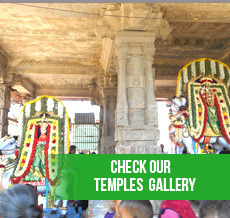 The origin of the temple dates back as far as 1600 BC. Though there are no definitive written details about the origin, the ancient scriptures sheds lights on the legends about the origin and growth. The shrine was not built as it is seen today. As the temple has stood tall for over 3500 years, this has been modified and developed by the rulers of the place from time to time blending their favorite style or architecture. Legends have it that when the Lord Indra came to earth to offer penance for his sins, he left a Lingam on the earth and Sanctum Sanctorum and Vimanam around the Lingam. The same was later discovered and the king KulasekaraPandyan created a small township around the same. The small township later went onto become the heart of the city. Though the temple became a part of the daily lives of the people lives in the city, the greater and major part of it was built later during the 13th and 14th century. One of the most striking features of the shrine is the compact structure that it offers even though many additions to the structure have been done later by numerous rulers over 2000 years. The history of the temple explains the unique and rare architectural grandeur that the temple is. The temple was initially built by wood and then later the same is developed into the form that it is now using bricks and mortar. 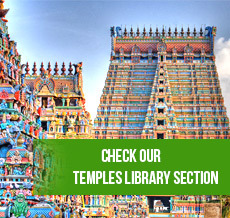 One of the most exciting and unique feature as far as the architecture concerned here is the 1000 pillar mandapam. This pavilion is at the juncture of the northern and eastern Adi streets. The mandapam was built by the AriyanathaMudaliar. Continuous additions were made to the mandapam by the Kings from time to time. KampathadiMandapam and the tower that has nine stories have been built by Krishna VeerappaNaicker. This mandapam was named after the constructor and the same is 110 feet broad and 160 meters long. The vast mandapam is then supported by 110 pillars each 22 feet high in 6 rows. One can see the figure of a Yali inscribed on each of these pillars and that adds to the surreal feel of the manadapam. Also called the Dark Mandapam, it was built by KadanthaiMudaliar in 1963. There are etchings of beautiful women on the pillars supporting the mandapam. These women are depicted to have mesmerized by the charming beauty and grace of Lord Shiva who appeared in front of them. One of the most interesting and exciting structures here is the music pillars. There are five pillars and each of them have been carved out from a single stone. These pillars have been carved so carefully that when struck each of they produce incredibly unique sounds that are heavenly music for the ears of the visitors standing there. Apart from these main mandapams, there are numerous mandapams that speak aloud of the architectural intricacies and styles that have been merged into this magnificent structure. AdiVeedhies, ThirukkalyanMandapam, MangayarkarasiMandapam are some of them that must be visited once you get a chance to visit this place. To get more information about this shrine and details about history architecture please click this link. For best travel guide and accommodation or hotels in Madurai during your visit of Mennakshi Amman temple please contact us. You can also reach us for affordable tour package of this place. 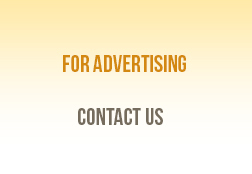 Templesyatra facilitates online tour or travel enquiry and endeavors to connect customers with tour operators or suppliers including the services mentioned and offered through this website.